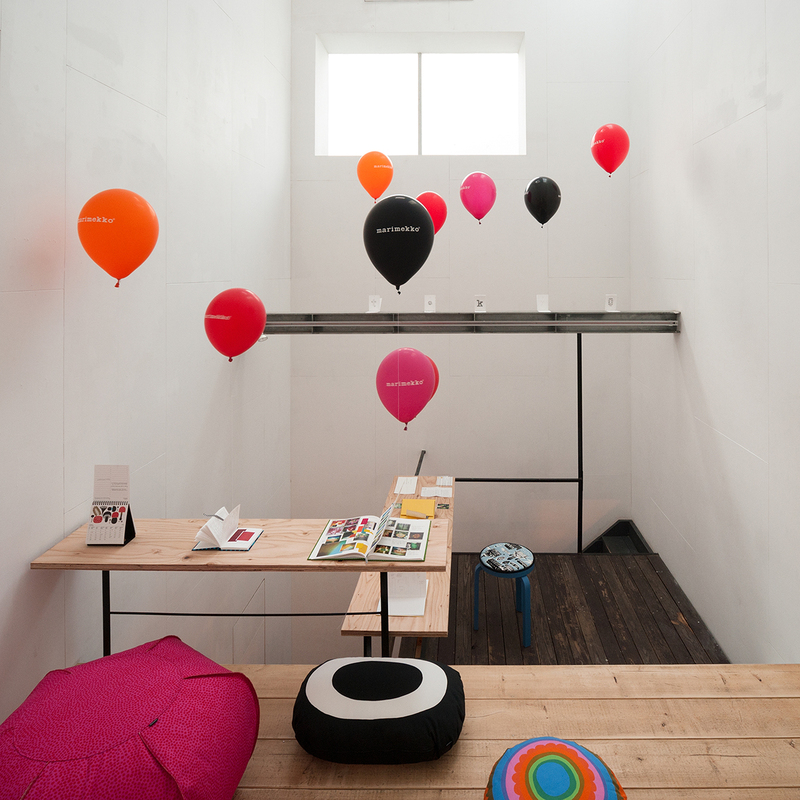 We designed an exhibition space for Marimekko, which is a world-famous brand of living design based in Finland. 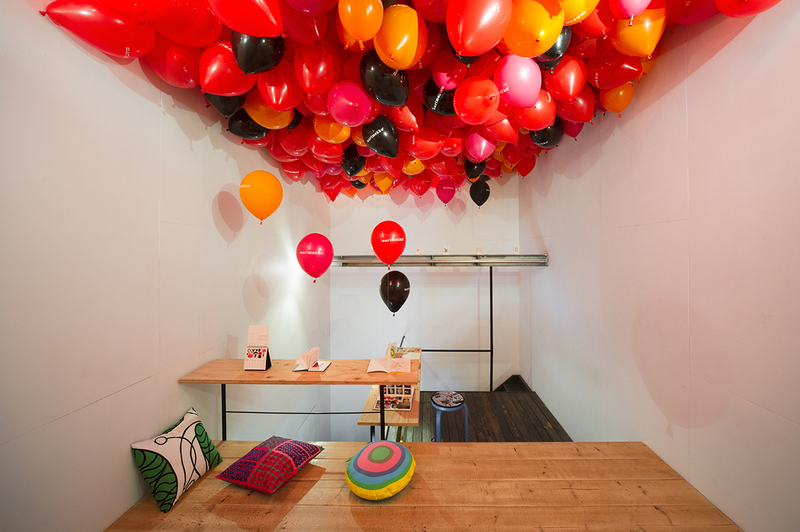 “MARIKISKA” is a name of special temporary shops that Marimekko set up for various design events in Helsinki, Stockholm and London. 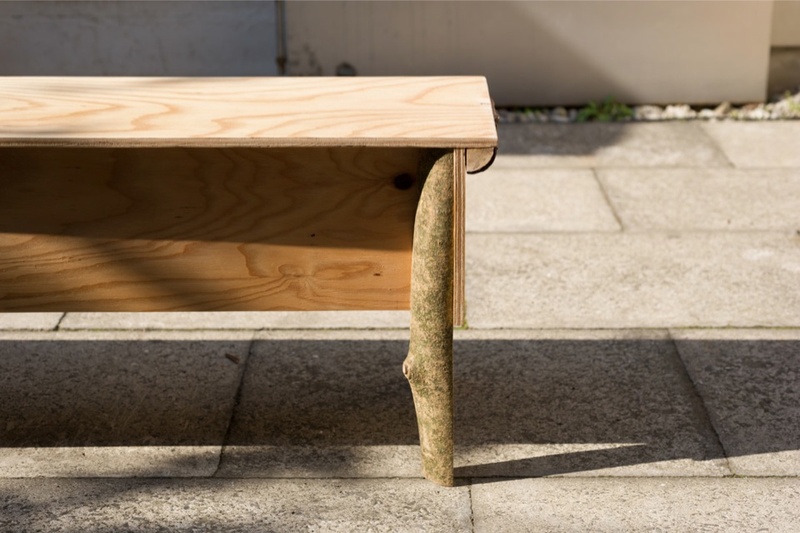 This year they opened MARIKISKA in Japan, during Tokyo Design Week. 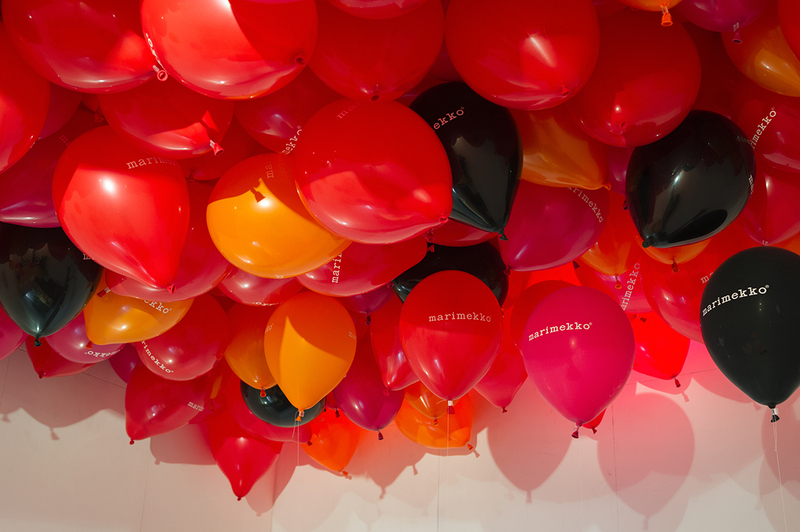 In Finland Marimekko is a very popular brand that people love and use in daily lives, and vivid patterns of Marimekko fabric have been integrated in Finnish homes. 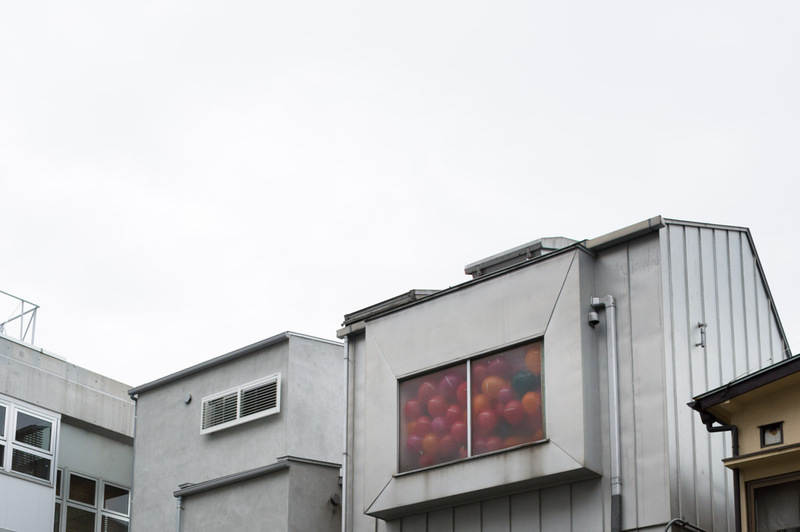 Harajuku is generally known as one of fashionable districts in Tokyo. 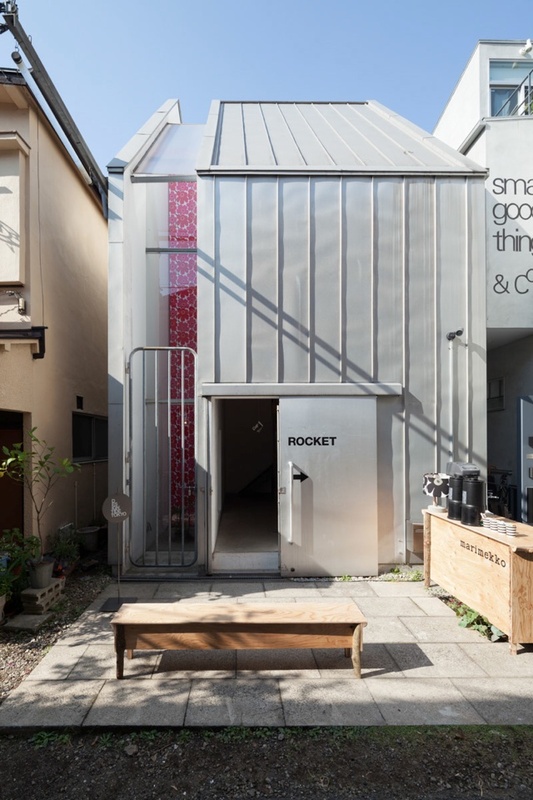 But you can still feel some down-to-earth atmosphere of local daily lives in back streets, and Gallery Rocket is located in such area. 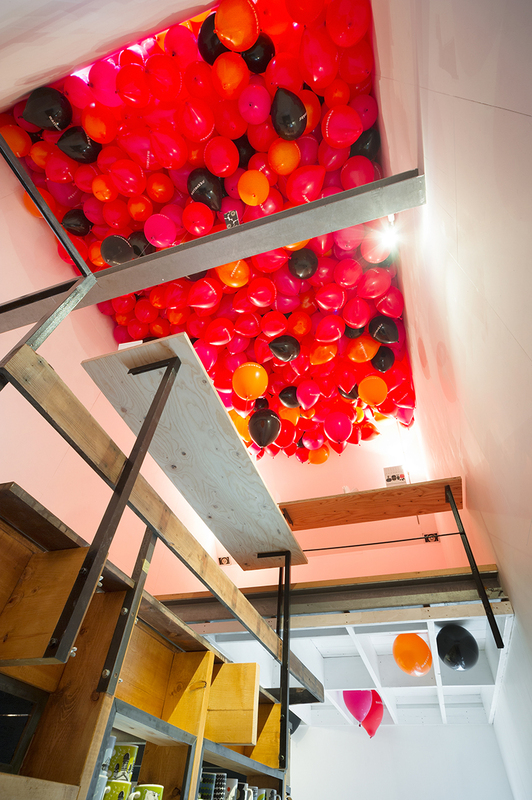 Our intention was to bring this down-to-earth daily atmosphere inside. 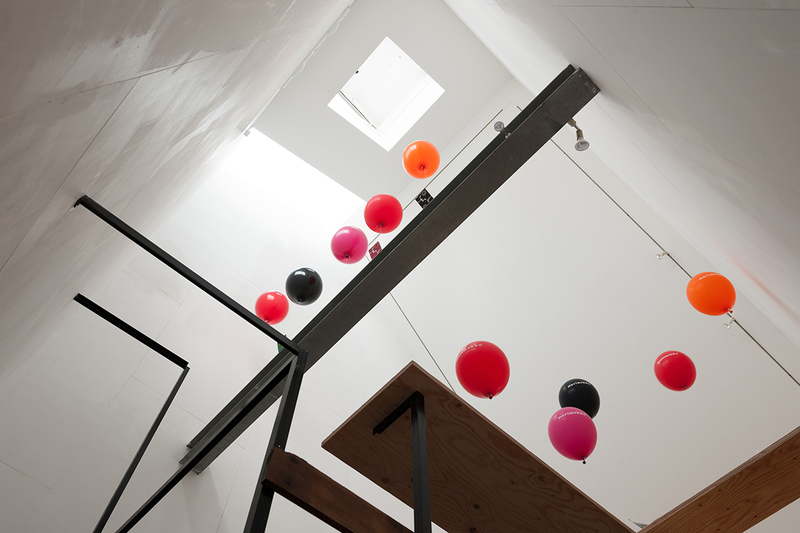 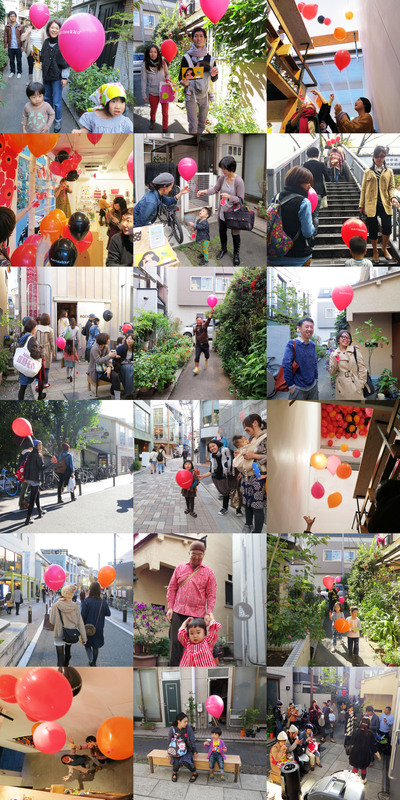 And we were looking forward all visitors to collaborate with us in creating the exhibition space by delivering a balloon from Marimekko Shop at Omotesando to Gallery Rocket and release it here, so the space eventually was filled with colorful balloons. 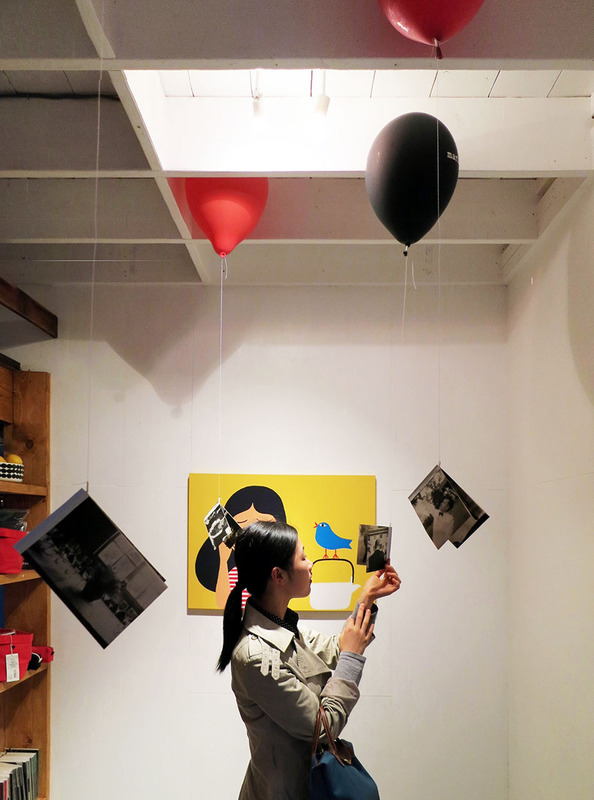 During the exhibition, they offered free drinks to all visitors wearing Marimekko clothes or bringing Marimekko products and also those who have kindly delivered balloons from the Omotesando Shop. 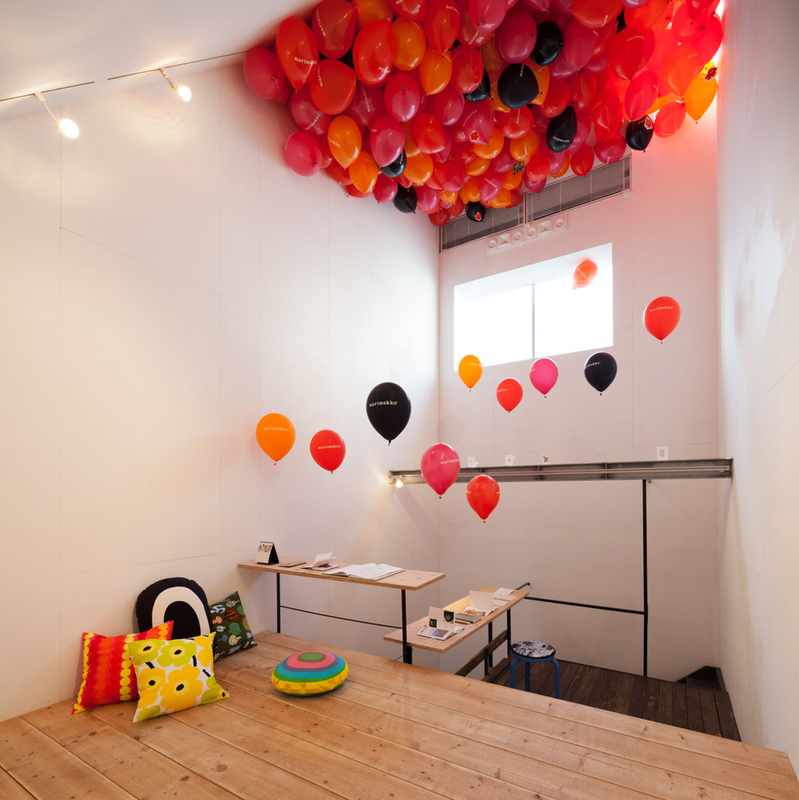 By collaborating with visitors we intended to fill streets of Harajuku and this backstreet-like exhibition space with vivid Marimekko colors.We made this exhibition a kind of art installation spreading across Harajuku.